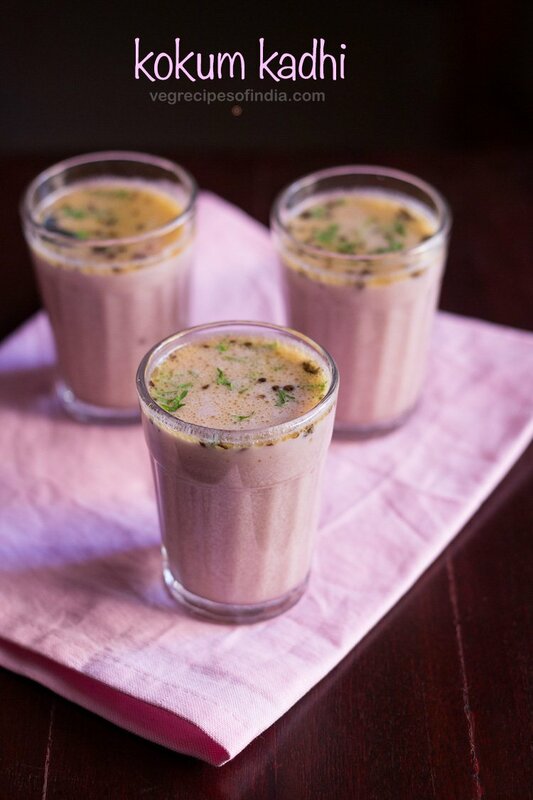 solkadhi is a digestive and cooling drink from goan cuisine. 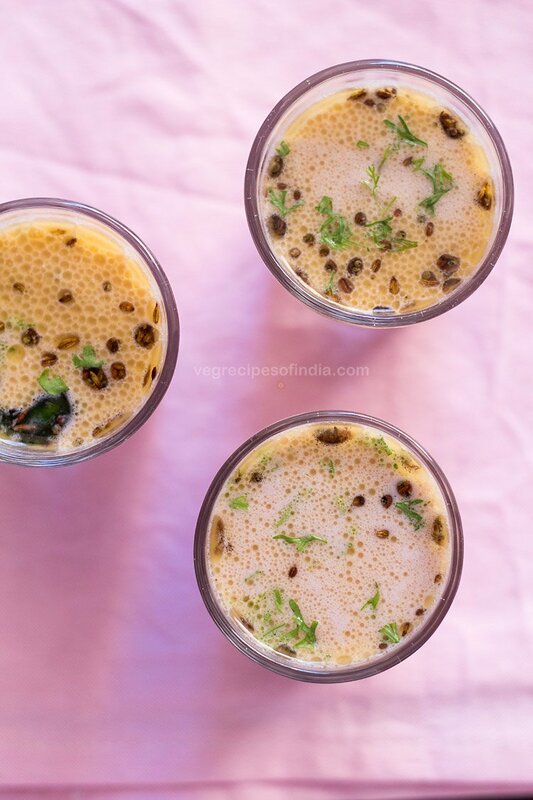 sol kadhi recipe with step by step photos – goan sol kadhi or kokum curry is one drink which i have grown up having frequently during the mumbai summers. at home we call it kokum curry and sometimes also as sol kadi or solkadhi or kokum kadhi. go to any local restaurant in goa….nah… not the beach shacks… the proper local indigenous restaurants which serve proper goan food. have any thali there – veg or fish or non-veg thali and in the thali, you will see a dark pink colored drink in a vati (small bowl). it is the kokum curry. 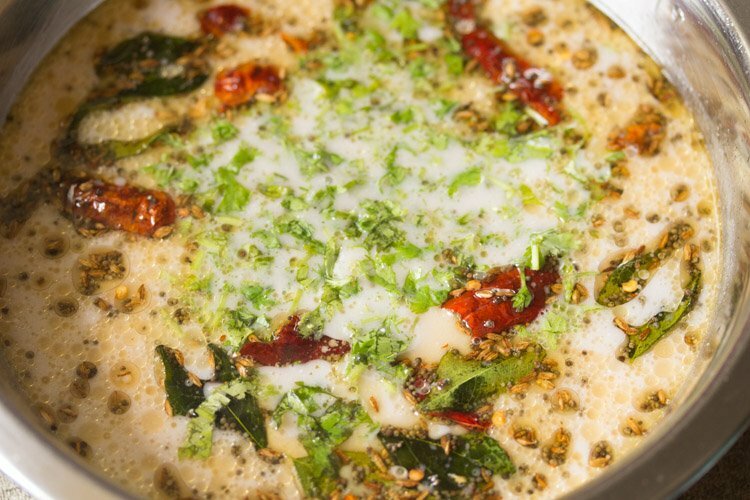 sol kadhi is a part of the goan, konkan and malvani cuisine. it is served as a digestive and also as a cooler. by the way the shacks do serve goan food, but don’t expect a sol kadhi there. they don’t have thalis and the food is catered to the likes of the foreign tourists. kokum also known as garcinia indica is a fruit bearing plant from the mangosteen family. the plant yields dark red colored fruit. they are amazing with a sweet sour taste. we would have the kokum fruits with salt. the outer cover of the fruit is dried in the sun to get what we call as kokum or aamsol. after drying they yield blackish purple color. they are sour to taste and have a sweetish aroma. they add a dark purple hue to the dish that you make and also make it slightly sour along with a slight sweet aroma of the kokum in the dish. i am so good at knowing if the a particular curry or dal has been flavored and soured by tamarind or kokum without even tasting it. just the aroma tells me. kokum is used in the goan and malvan fish and prawn curries as a souring agent. 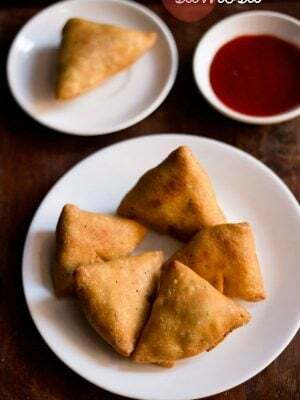 it is also used in the maharashtrian, gujarati and kerala cuisine. we also make squash of the kokum and its known as kokum juice. 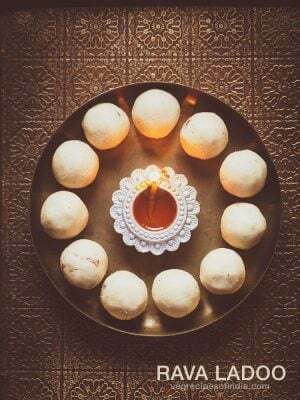 its excellent to get rid of the heat in the body and also serves to reduce the pitta dosha as per ayurdeda. kokum sherbet is also good for digestion. it also helps in reducing the summer rash and itchiness. actually it is very easy to get kokum if you stay in the southern parts and western coast of india. but if you stay in the north, then it is not so easy. 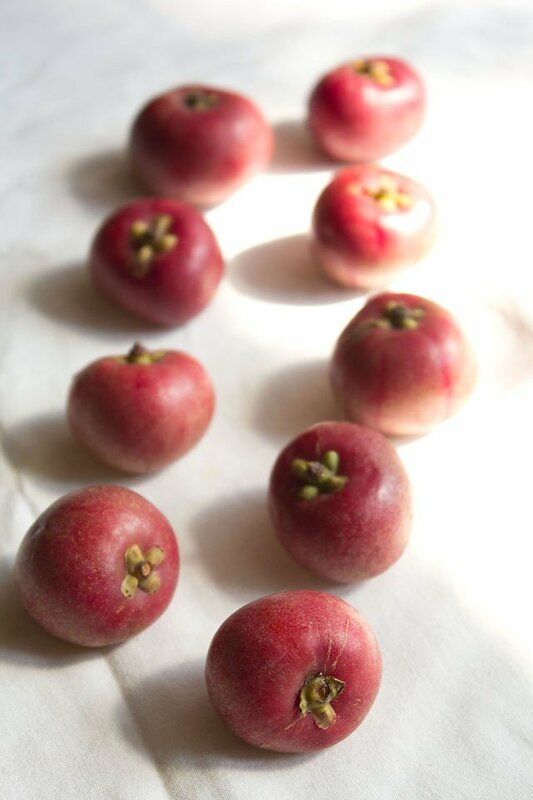 when living in delhi, i had a tough time finding kokum anywhere, especially when the delhi heat used to be at its peak. it really surprises me why they are not sold in the northern and central regions of india where the heat is such a killer. the kokum fruit is so good as a summer cooler. may be its got to do with the taste habits of people. there are many things from the north of india that i don’t get to buy in goa and vice versa. 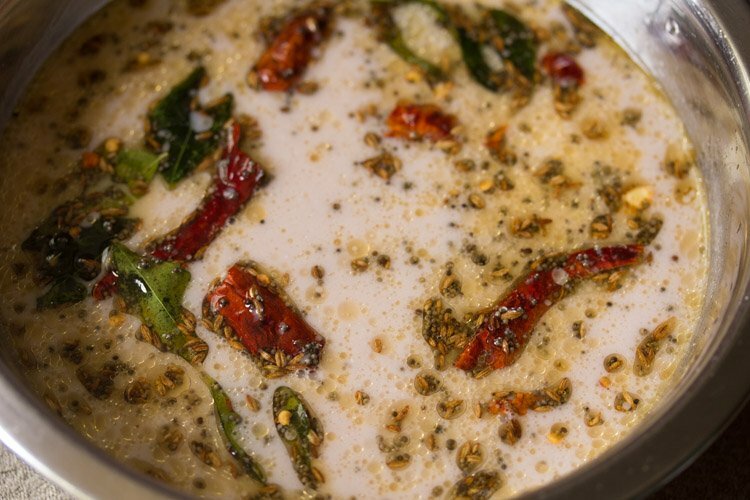 sol kadhi can be made with coconut milk or without coconut milk. 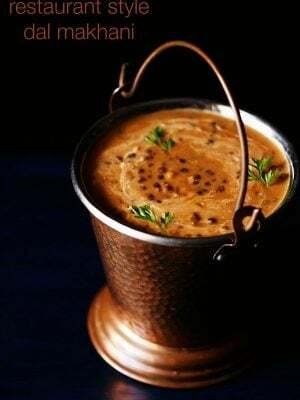 i am posting my mom’s recipe of kokum kadhi made with coconut milk. 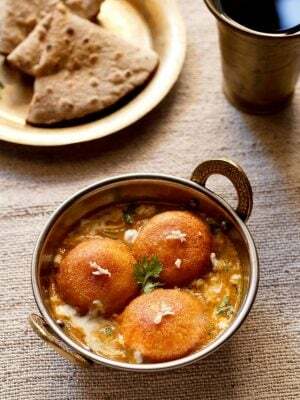 it may not be the authentic version, but much loved in my family and hence sharing the recipe. i will also try to post the no coconut milk version. at home we always temper the curry with a few spices and herbs, but this step can be skipped and is not essential. 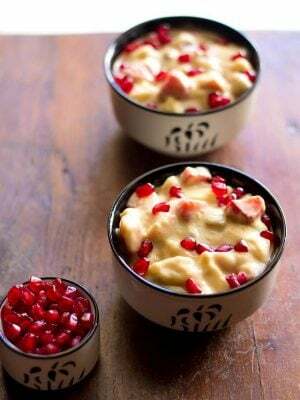 this kokum kadhi recipe is easy too and all you have to make is only the coconut milk at home or use the ready made ones. along with soaking the kokum in water for 30 minutes. straining and squeezing them completely and you get a beautiful pinkish red colored kokum extract which is very sour. add some more water and coconut milk to the kokum extract. temper and there you are done. the curry is ready in 10 minutes apart from the time taken for soaking and if using readymade coconut milk. if you make the coconut milk, then add some more 10 minutes and the kokum curry is done in 20 minutes. for all those who have never had kokum in their lives, please try this marvellous indian fruit. it is amazing. kokum curry has a sour taste and if you like sour taste, you will like the curry too. coconut milk does reduce the sourness, but not that much. it is a nice blend of the light & mild coconut milk with a sour kokum tempered with indian spices. 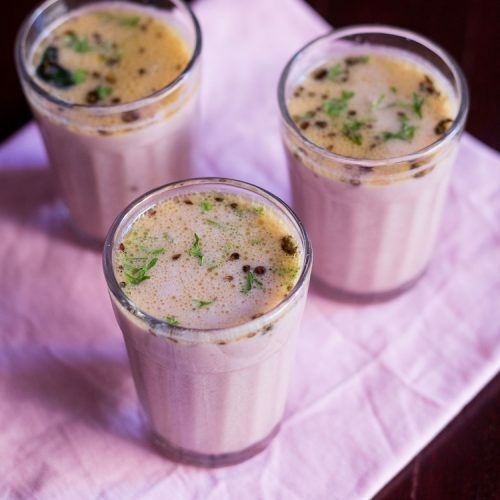 you can serve sol kadhi immediately after tempering or else keep in the fridge and then serve cold. leftover kokum curry should be kept in the fridge. 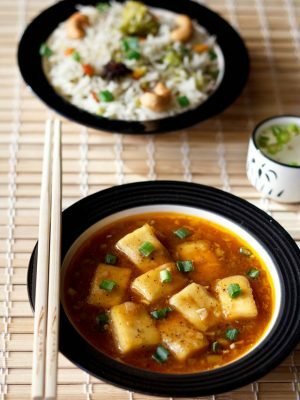 the coconut milk get spoiled in the hot weather, hence refrigerate the kokum curry. some more interesting facts, nice pics of the kokum tree and fruits and an informative post at aayisrecipes here. 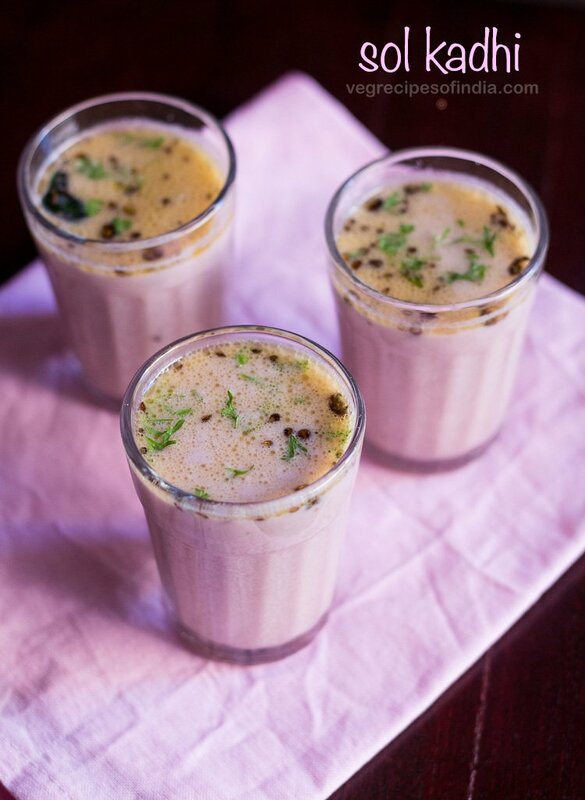 enjoy making and having the solkadhi in the hot indian summers. rinse 12 kokums lightly in water. place them in a bowl and add 1 cup water. soak the kokums in the water for 30 minutes. 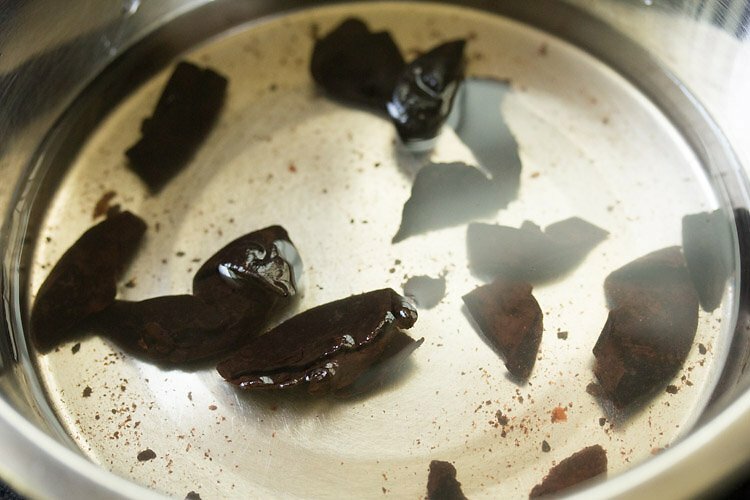 after 30 minutes, crush and squeeze kokum completely with your fingers in the water itself. 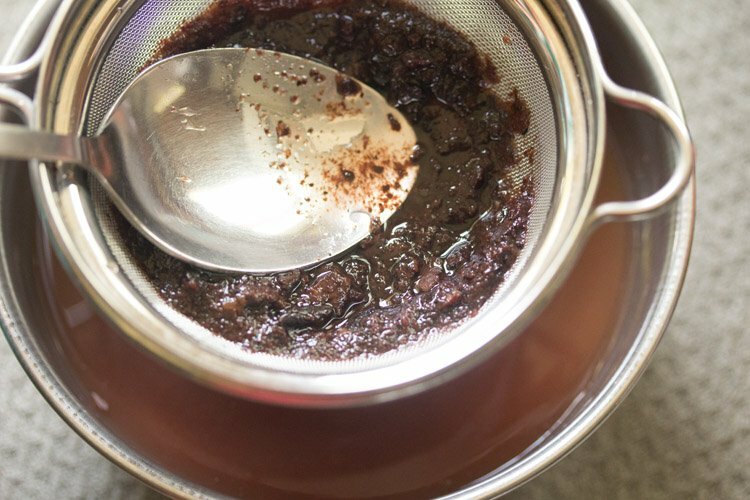 pour the kokum extract in a strainer. keep a bowl beneath the strainer. the kokum shreds will collect in the strainer. 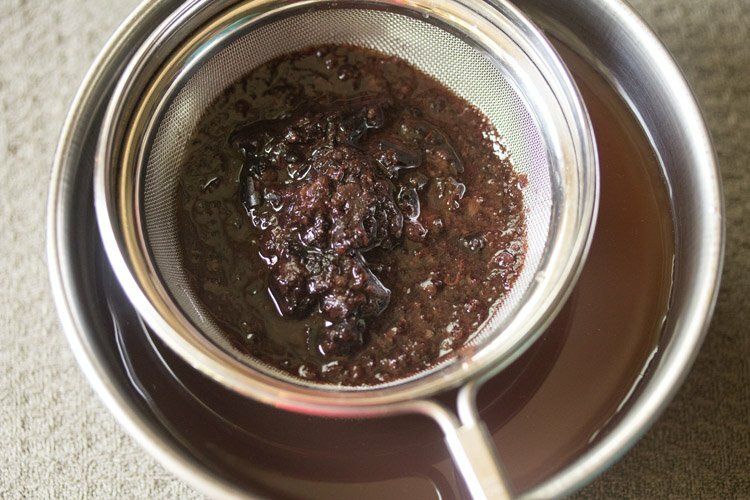 press the kokum shreds with a spoon so that the kokum flavors are extracted well. then add 2 cups water to the kokum extract. 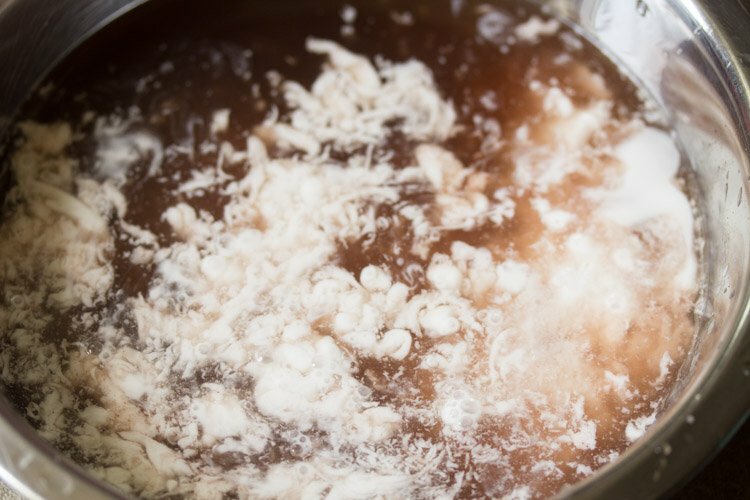 next add 1 cup thick coconut milk – either make the coconut milk or use the ready made one. you can also add 1.5 cups of coconut milk. mix very well. add salt as per taste. mix again well. keep aside so that we prepare the tempering. 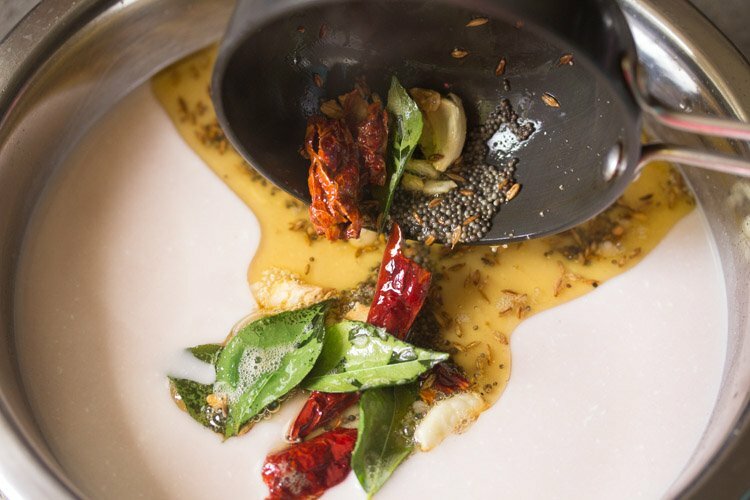 heat 1.5 tablespoons oil in a tadka pan or a small pan. add 1 teaspoon mustard seeds. let them crackle. then add 1 tsp cumin and let them crackle too. 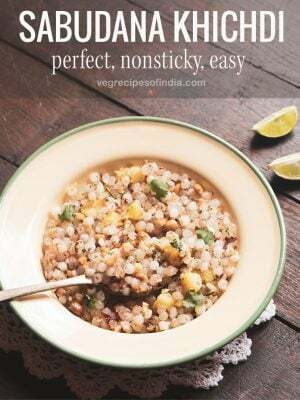 lastly add 1 sprig curry leaves, 1 to 2 dry red chilies (broken and seeds removed), 2 to 3 lightly crushed small to medium sized garlic cloves (with or without peels) and 1 generous pinch of asafoetida powder. you can crush the garlic cloves in a mortar-pestle. fry for some seconds till the garlic turns light golden. 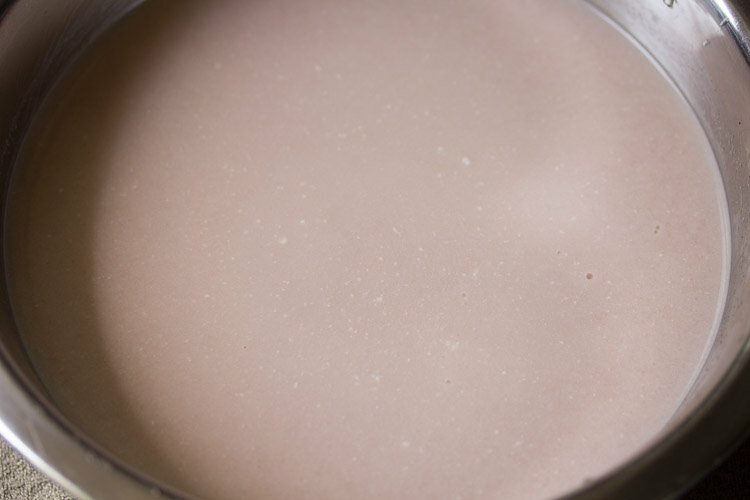 quickly pour this tempering on the kokum+coconut milk mixture. mix well. then add 1 tablespoon finely chopped coriander leaves to sol kadhi and mix again. serve sol kadhi straight way or refrigerate and then serve cold. you can garnish sol kadhi with coriander leaves before serving. 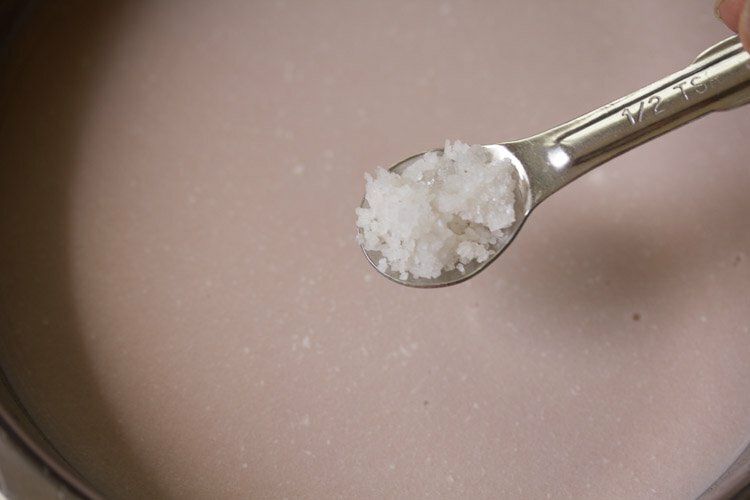 1 cup grated coconut and ½ to ¾ cup water. grind the grated coconut with water and squeeze out the thick milk with a strainer. add the extracted coconut again back to the grinder. add some water and then make the thin milk. strain again and squeeze the coconut completely. 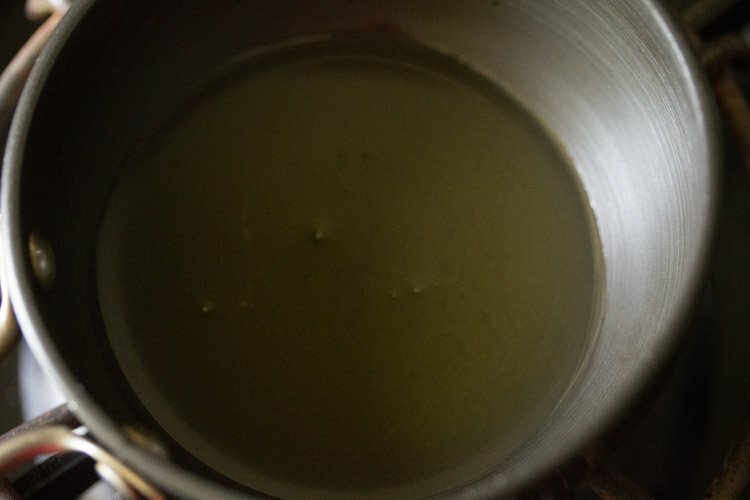 you can add both the thick and thin milk to the kokum extract. 1. rinse 12 kokums lightly in water. place them in a bowl and add 1 cup water. 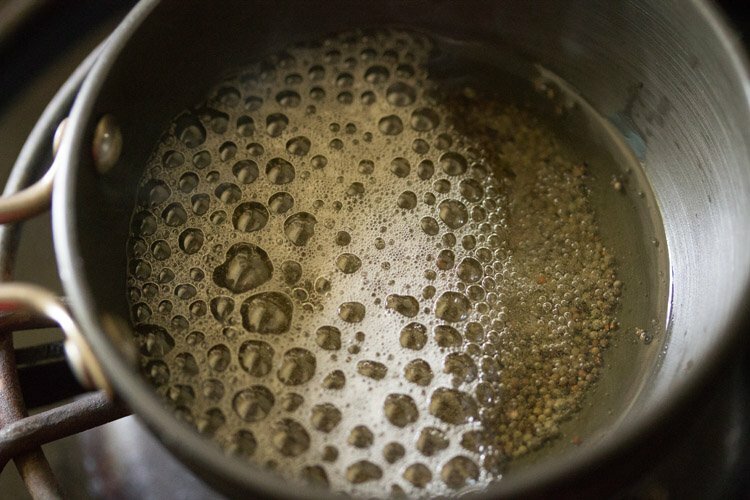 2. soak kokums in the water for 30 minutes. 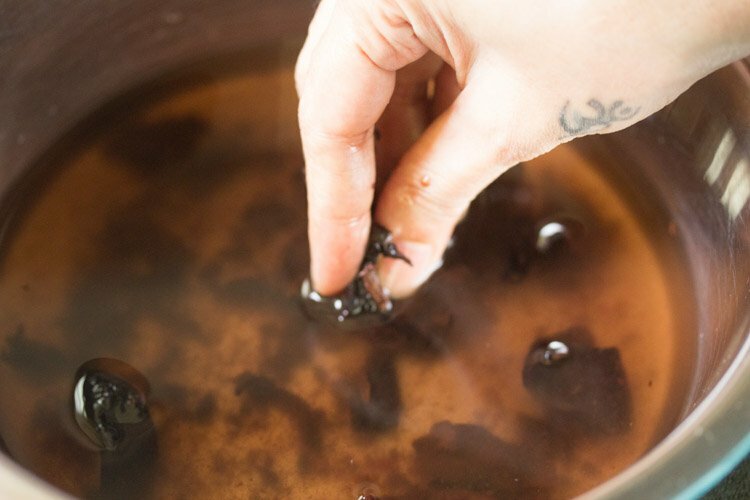 3. after 30 minutes, crush and squeeze kokum completely with your fingers in the water itself. 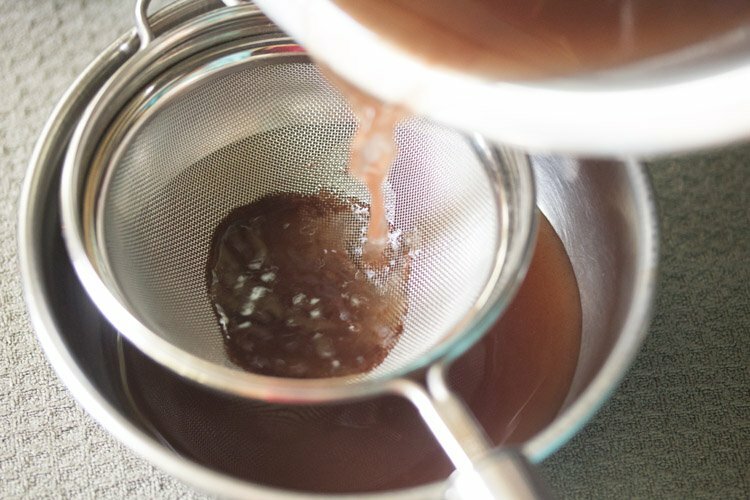 4. pour the kokum extract in a strainer. keep a bowl beneath the strainer. 5. the kokum shreds will collect in the strainer. 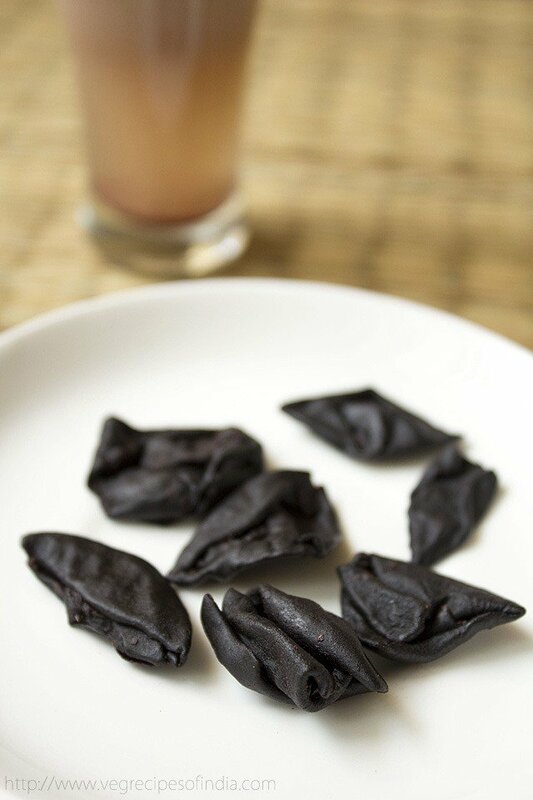 6. press the kokum shreds with a spoon so that the kokum flavors are extracted well. 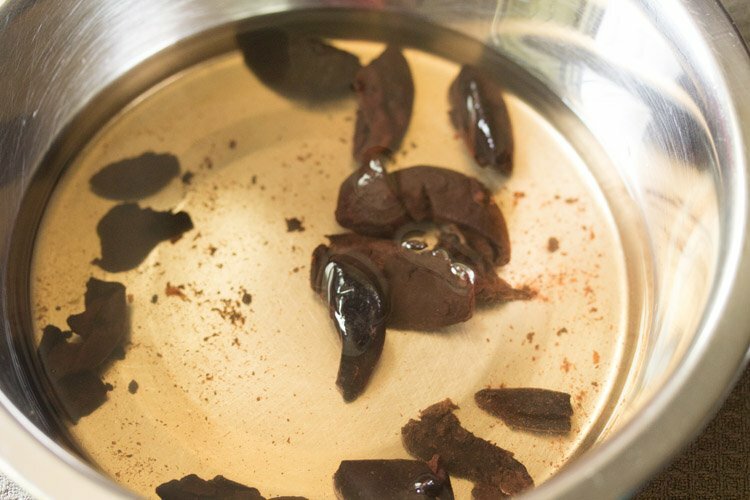 7. then add 2 cups water to the kokum extract. 8. next add 1 cup thick coconut milk – either make the coconut milk or use the ready made one. you can also add 1.5 cups of coconut milk. 10. add salt as per taste. mix again well. keep aside so that we prepare the tempering. 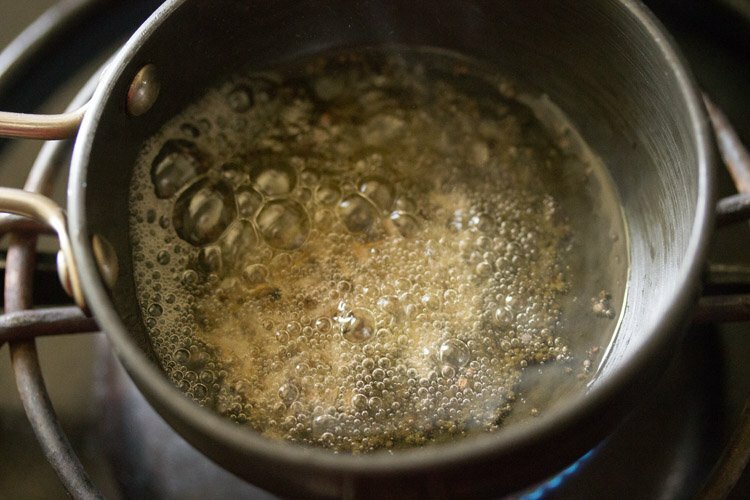 11. heat 1.5 tablespoons oil in a tadka pan or a small pan. 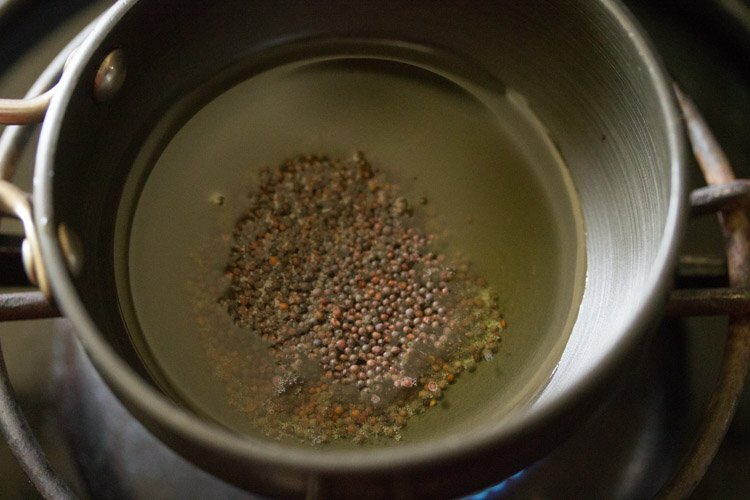 12. add 1 teaspoon mustard seeds. 14. then add 1 tsp cumin and let them crackle too. 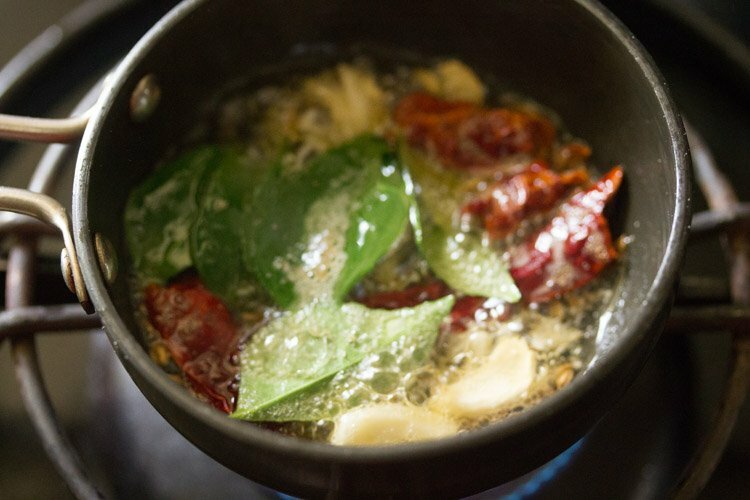 15. lastly add 1 sprig curry leaves, 1 to 2 dry red chilies, 2 to 3 lightly crushed small to medium sized garlic cloves (with or without peels) and 1 generous pinch of asafoetida powder. you can crush the garlic cloves in a mortar-pestle and keep them ready. 16. fry for some seconds till the garlic turns light golden. 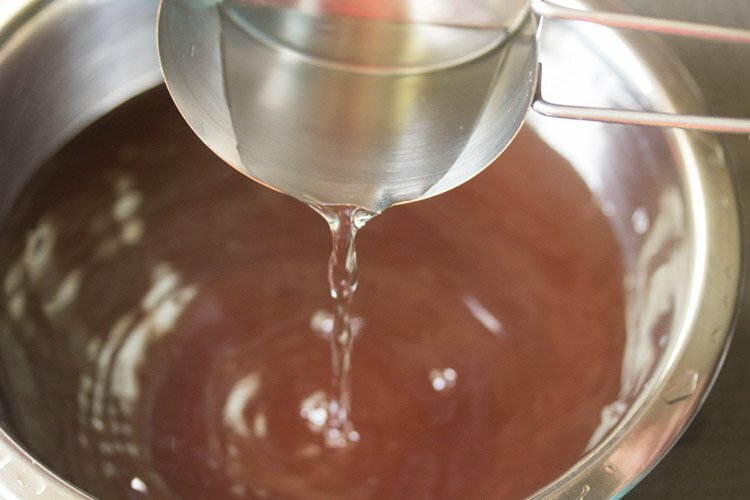 quickly pour this tempering on the kokum+coconut milk mixture. 18. add 1 tablespoon finely chopped coriander leaves to solkadhi and mix again. 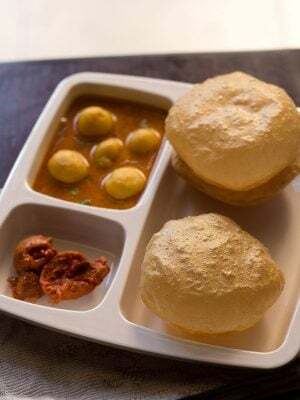 19. serve sol kadhi straight way or refrigerate and then serve cold. you can garnish sol kadhi with coriander leaves before serving. Hi! After reading the recipe i bought kokum but did not realise it was a wet kokum. Can i still use it? of course you can. but just make sure its not sweet. Hi can I use the maggi coconut milk powder??? maggi coconut milk powder won’t give you a good taste and flavor. i have used coconut milk powder before and it does not even come close to the real taste of kokum curry.